In the Russian Federation on the basis of GOST 78-2004, before you lay the sleepers on the railway, they are impregnated with a special compound. The treatment process has been around for many years and occurs under strict control. After all, what impregnated sleepers, depends on their service life and reliability. Currently, there are several types of mixtures, which is impregnated sleepers. The most common and familiar type of protective material is creosote. It is a penetrating oil that is produced in the coking process for the recycling of resin, and has a very particular and pungent aroma. 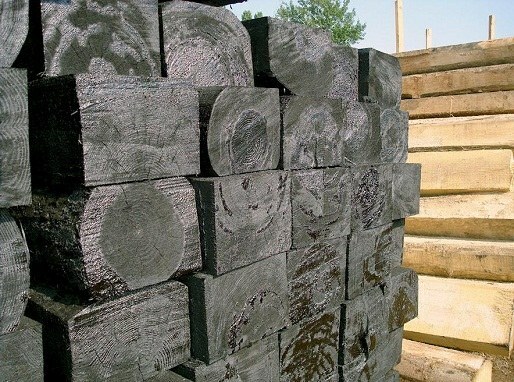 Creosote safe for humans and animals, is inexpensive, does not react with metal and wooden structures that are in contact with treated sleepers. Of the negative aspects of the mix can be noted the high toxicity, Flammability, and odor. Technology of applying protective coating on the sleepers is very complex and consists of several stages. By the way, sleepers, supporting columns, bridge beams, all impregnated with the same technology in special autoclaves. The first stage of impregnation, a vacuum that will allow you to save the wood from excess moisture. Then there is a supply of antiseptic. This happens under pressure, this creates a penetrating layer of the order of 2-5 mm. Its value will saveset from wood. Then again, a vacuum is created to remove excess creosote. After that there quality check of the sleepers. 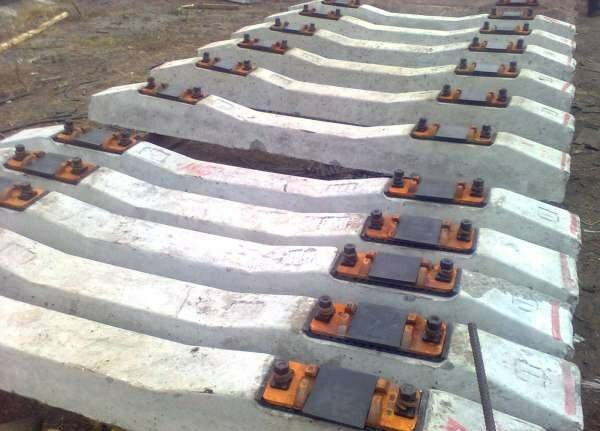 Now many companies are trying to find new solutions for the impregnation of sleepers. In place of the creosote comes antiseptic "Elemset", showing excellent quality. It does not provide the sleepers great durability and leaves no after using the excess dirt. A revolution in the manufacture of protective equipment for sleepers produced antiseptic "zhtk". It surpasses their coal counterparts not only in effectiveness, but also safety. His production deals with the company "LUKOIL-Permnefteorgsintez", which holds the patent and supplies antiseptic on explosively Russia. It is worth noting that the new antiseptic oil origin also has a hazard class, but the probability of cancer when it is many times lower in comparison with coal-tar product. The main characteristics of the mixture can include no odor, no stickiness. It does not form clots and precipitation either on the sleepers or on the equipment, and aesthetic properties "zhtk" better than creosote. Therefore, we can summarize that the use of this antiseptic in the quality of the material for processing sleepers – a significant contribution to improving the environment and working conditions at the factories involved in the impregnation of sleepers.